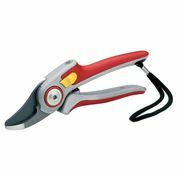 These are Wolf Gartons ultimate professional bypass aluminium secateurs that can cut up to 2.5cm thick in diameter. 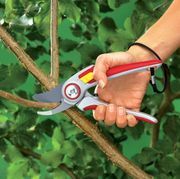 These are for the operator who wants precise pruning for a seriously sharp garden. The robust aluminium handle has a smooth plastic grip for comfort and easy use. Designed to prevent over extension of the hand and you can replace the blades also, which a made from high quality sources and coated with a non-stick finish for the ultimate product. A 30 degree cutting angle also eases the strain on your hands when using the RR5000 making them comfortable to use for long periods of time. Buy the best, buy Wolf Garton. And buy with confidence with their 10 year guarantee!